Make a fast render of the model with just one click! - 4 vray materials are created for make some different test. - Support for fast preview rendering and high quality test render. This is my first script, any kind of report are welcome. 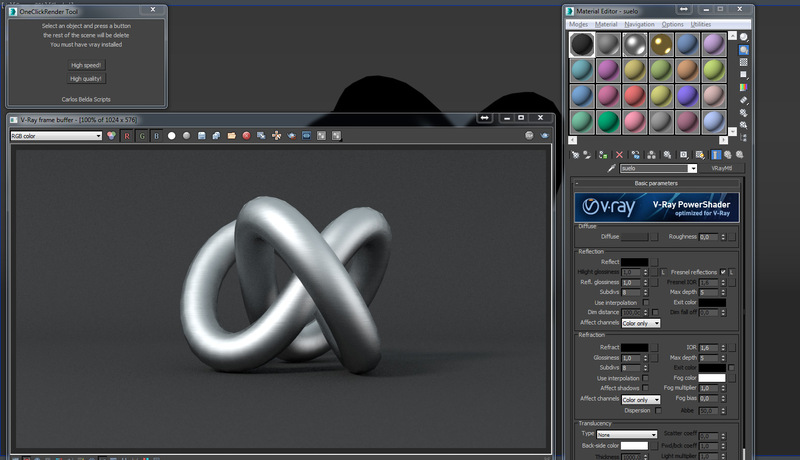 3ds max 2015 and vray 3.0 tested.